This Labor Day weekend marks a first for Dialogue Incorporated's Mister Joshua. A DJ staple in Chicago for the past few years, Mister Joshua will be making his Chicago festival debut this weekend, and at a really cool one at that. 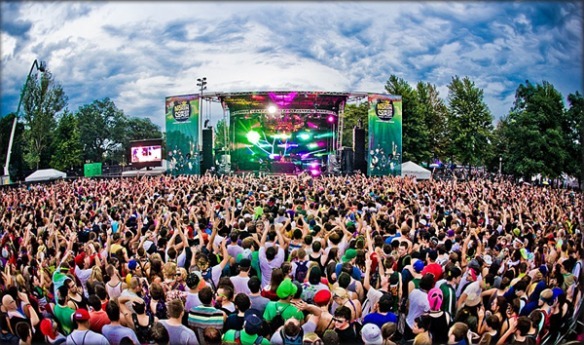 North Coast Music Festival, now in its third year, is the Midwest's premier electronic, hip-hop and jam band festival. This year boasts a host of top-tier talent, of which acts like YACHT, the Rapture, Digitalism, Maya Jane Coles and Big Boi should be of particular note to Dialogue readers. This year also sees the debut of the Groupon Silent Disco Dome, a covered, 200-person stage featuring some of Chicago's finest local DJs going head-to-head, while fest-goers don headphones and pick between each of the DJs spinning simultaneously. While Mister Joshua isn't exactly debuting on a main stage in front of throngs of his no-doubt adoring fans, we're still ultra stoked to be taking part in the silent disco—and actually playing a disco track or two. Mister Joshua gets the indie-disco and deep house bubbling up under the Groupon Silent Disco Dome on Friday 31 from 6–7pm. North Coast Music Festival tickets are available at clubtix.com.